Do you want to share your message with a wider audience & grow your business? be interviewed on top podcasts, and be featured in magazines etc.? Do you secretly (or not so secretly) dream of writing a book? If your answer is YES, then you are in the right place lovely. 85% of entrepreneurs want to write a book. But only 5% ever do. I help my clients become one of the 5%. ‘You know when you invest money in something and really feel like you’ve got bang for your buck? This was exactly how I felt at the end of my coaching with jo. i had debated about whether or not to write a book, and then when i finally took the plunge i realised that i had no frigging idea what i was doing. i would sit with my blank page wondering what i needed to say and how to get it started, it just felt very overwhelming. Hi, I’m Jo, a writing coach and editor. I work with passionate Female Entrepreneurs, like you, who are ready to share their message and grow their business by writing a book. As a writing coach, my zone of genius is helping women grow in confidence, beat procrastination, and get their First Draft completed by getting their idea out of their head and onto the page, so that they can become one of the 5% of entrepreneurs who stop talking about writing a book and actually DO IT. And, once their First Draft is done, we work together to find the best ways to get their book finished and out into the world. Read on to see how I can best help you. 85% of entrepreneurs want to write a book, but only 5% actually do. I help my clients become one of the 5%. Are you ready to make this the year you write your book? Then scroll on and find out how I can best help you go from Dream to First Draft and Write Your Damn Book! Just want the tools and tips to get started? Then my Write Your Damn Book Planner is the perfect offering for you. This planner contains everything that forms the heart of my coaching packages, with all the tips, tricks and worksheets that my clients use to complete their First Draft AND get ready to rewrite. PLUS top tips on rewriting, marketing, and what to do once your book is ready. Like the idea of a guide to help you get started BUT would also like a little bit of personal feedback on your idea before you dive into the writing part? I hear you. Sometimes we just want to know we’re headed in the right direction before we get going on our own. My Silver Coaching package was designed specifically for motivated Female Entrepreneurs who know the value of a bit of personal feedback during the creative process. 1 x 60 minute 1-1 video call with me - to be taken within 2 months of purchase and once you’ve completed Part One of the planner. Want everything offered above BUT would also like some feedback on your writing, just to know if you’re heading in the right direction and to help you feel a bit more confident? This is for Female Entrepreneurs who are looking for accountability, motivation and the knowledge that they will be holding their completed First Draft within 3 months. and it can open the way for bigger opportunities such as retreats, interviews and maybe even television appearances (did someone say Oprah?). My VIP Coaching Series is the best way to get my help every step of the way. 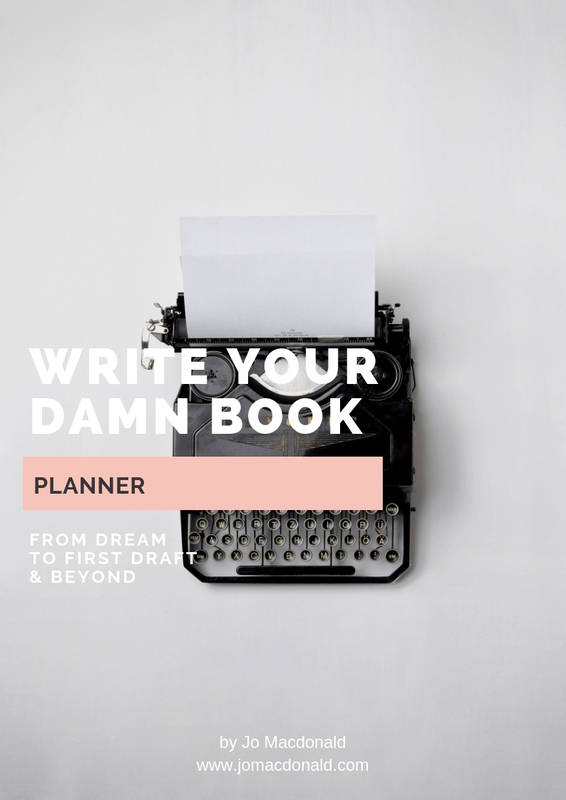 We'll set word-count targets to keep you on track, tackle procrastination and fear head on, and you'll get all my worksheets for planning and mapping out your book, as well as ways to promote it both during the writing process and afterwards. Along the way I'll be there if you need to brainstorm ideas, and I can give feedback on your writing either chapter by chapter or anytime you want another pair of eyes on your work. At the end of our 3 months together, provided you do all the work as suggested, you'll have a completed first draft of your book - let that sink in for a moment (feels pretty good doesn't it!). Oh, and I'll also give your finished manuscript a read through and give you valuable editing and rewriting tips so you're ready to move forward with your book and get it ready to either submit or self-publish in the future. PLUS, all clients who complete my VIP Coaching Programme have the option to continue working with me through to manuscript completion stage. Writing a book is a huge accomplishment and getting that first draft completed is the key element of success. I want to be there for you and support you 100% all the way, so it's vital that we can work closely together and that I know you are equally committed to completing your first draft. That's why I only take on a handful of VIP clients a year via an application process. Are you ready to be one of them? Unlimited 15 minute power calls if you're stuck, need a quick boost etc. Just fill in the form below to register your interest. Once I've received your form you'll be sent a questionnaire to fill in (please allow 48 hours for this to arrive in your inbox). After I've read through your completed questionnaire, and I think I can help you complete your first draft, I'll arrange a complimentary Skype call to make sure we're a good match. If we're both happy to get started and bring your book to life then I'll send you a link for either a single payment of £597 or a monthly payment plan, based on your preference. Online projects such as: Ebooks, web pages, blogging etc. speech writing - for talks, podcasts, video courses etc.